I Bought this 2 years ago... I LOVE IT!!! Came from the same manufacturer as the Big Sting. 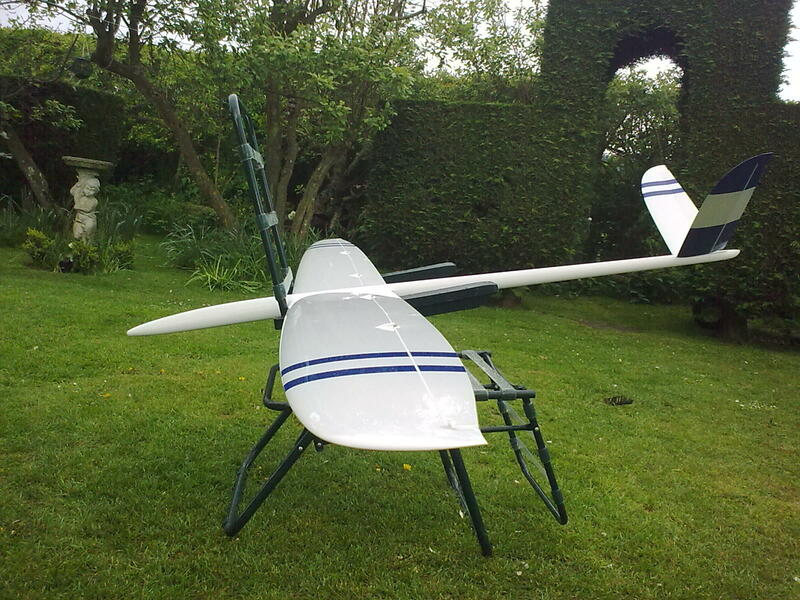 I was lucky enough to be one of the first in the UK to get one (bottom left pic on manufacturer's website is of mine) This is my favourite glider of all time. Price inc ballast was £650 delivered, a billy bargain! My colour scheme again and took 12 weeks to make and deliver. (i understand delivery times are 6-8 months now) As for fit and finish, its perfect! razor sharp lines on the colours, perfect moulding, stunning shape. Check that tail out, just perfect. 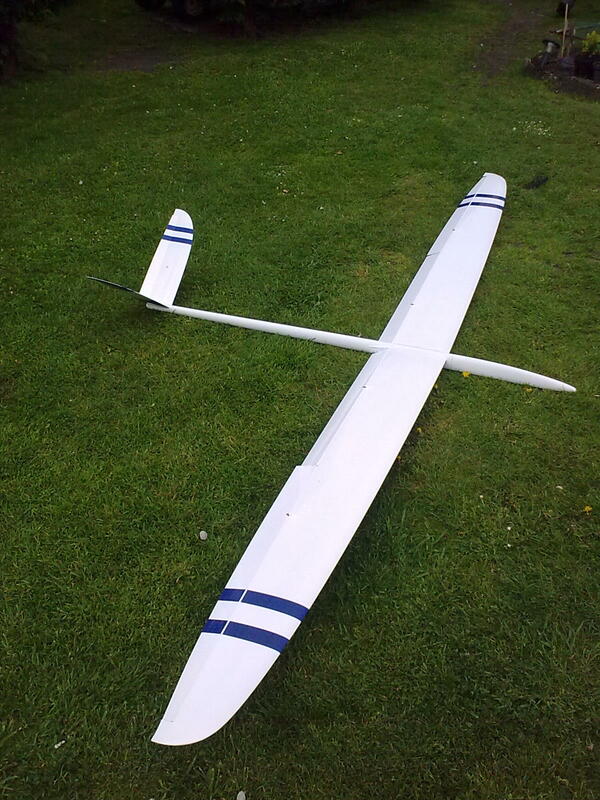 I have 2 Futaba 3150's in the Fuz, 2 JR DS378-MG on the ailerons, which incidentally are the loudest servos i have ever witnessed. Martin has great delight in taking the piss out of me, but they are quick and show no slop! 2 hyperion servos on flaps, my personal opinion on hyperion.... don't bother! 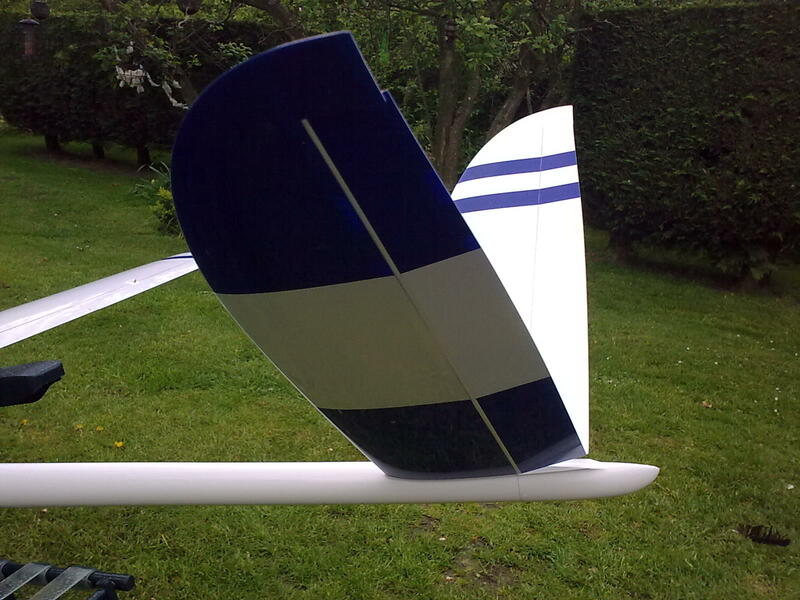 Ballast goes in the wing in the form of 6 large slugs, totalling 1.5 kg's. 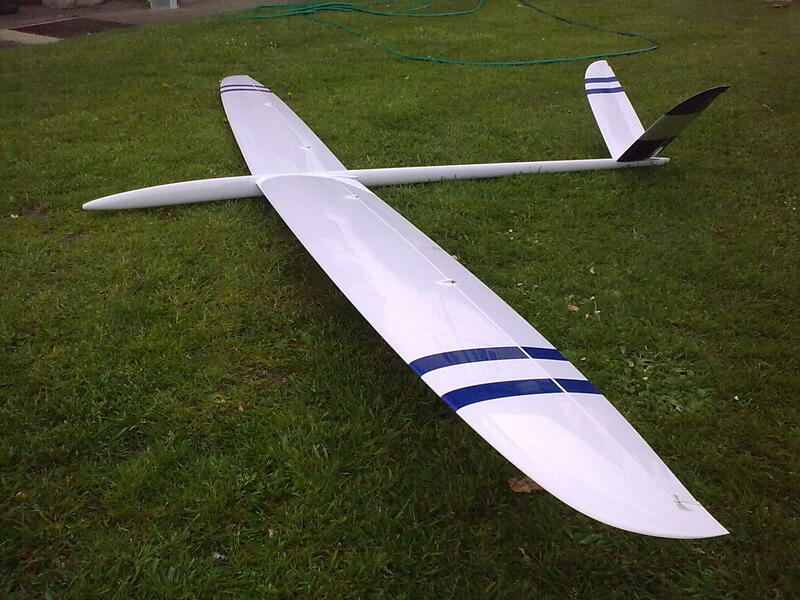 The only criticisms i have on the glider is the ballast system. It moves the c of g forward by a long way if all slots are full! 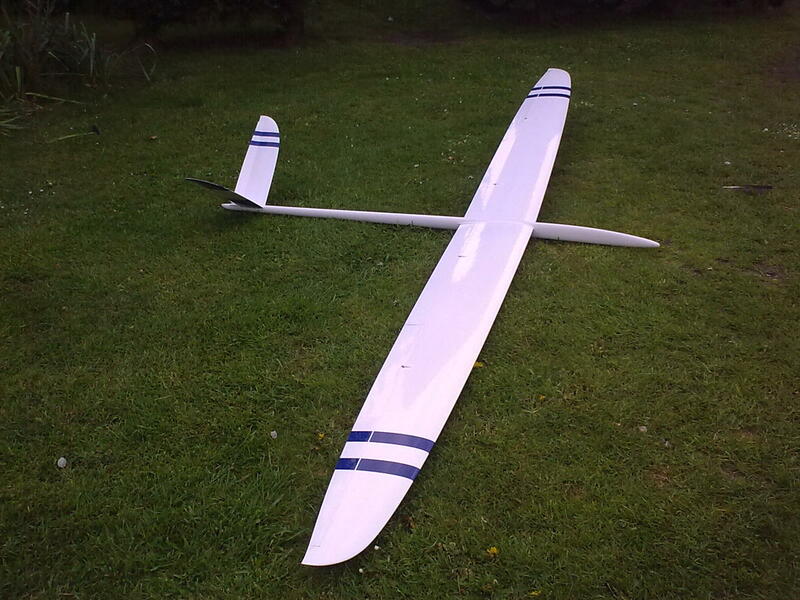 Also the manufacturer, I did order an electric Fuz for this glider over a year ago... the manufacturer is useless. If ever i need a spare wing i'm screwed! Flying is a delight, its an all rounder, light breeze to a howling gale it eats it all up. I will be keeping this one for a long while to come me thinks. It looks amazing... well i think it does! 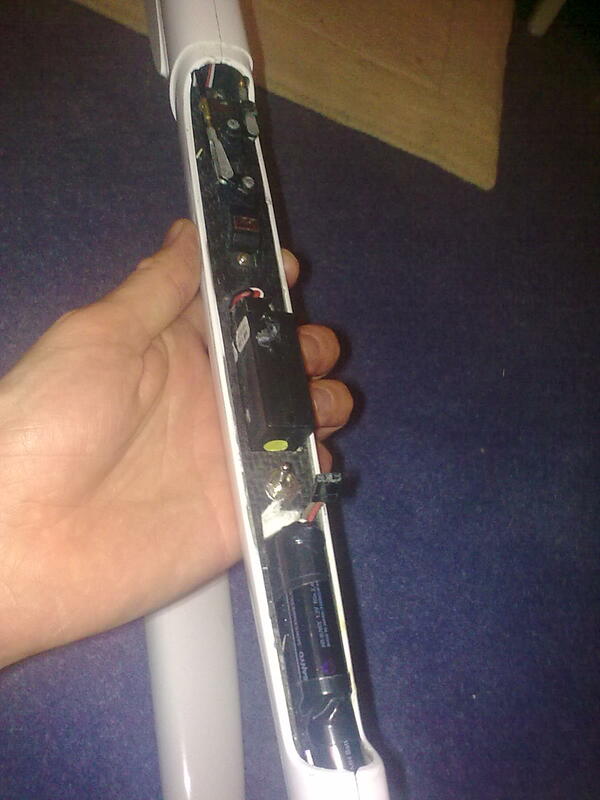 The Thinnest Fuselage i have ever seen! i managed to stuff a 5 cell Eneloop battery in, god knows how. I did beef up the whole nose area with carbon, its so long and thin i thought it looked a week point... no problems yet! Check the below video out, taken at the Blwch on the east facing crest, hell of a hike but well worth it. Yet again view best on Youtube set to HD.